Anyone who spends enough time in the kitchen, knows that it is virtually impossible to keep everything in perfect order. Unlike the bedroom, this is not a place where you only go for couple of hours and stay idle, but the room where some of the greatest things are created. I have plenty of cooking ingredients, plates, jars, spoons, forks and many more tools that are vital for preparing delicious foods and sometimes they get misplaced. 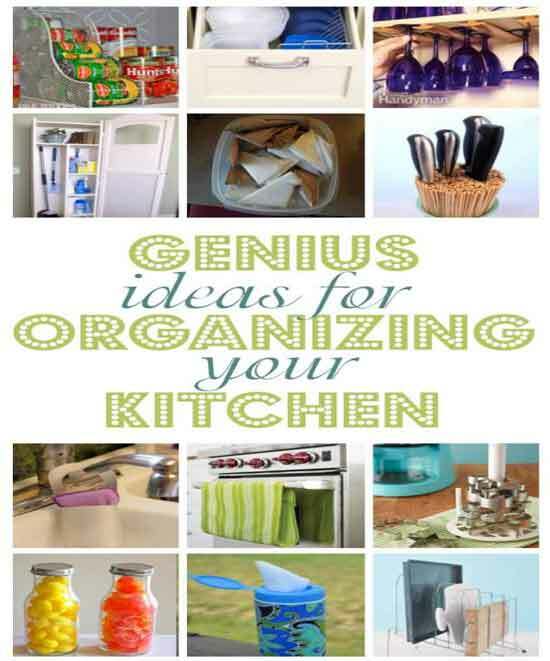 I have to admit that until recently I postponed a process that was always on my mind, namely a smart reorganization of the kitchen. The good news is that I finally did what was necessary and much to my surprise I discovered that a bit of creativity can substitute major investments. Using magazine holders to organize cans, or CD racks for plates might sound a bit surprising, but as long as you achieve your goals, I don’t see a problem. Bamboo skewers were probably designed to serve other purposes, but I found out that they serve as excellent support for kitchen knives. These do-it-yourself solutions are not only effective but also fun to tinker with and the best thing is that one discovery leads to the other, making the entire process an entertaining one.